As you may already know, The Mailbox is one of my most favorite resources. 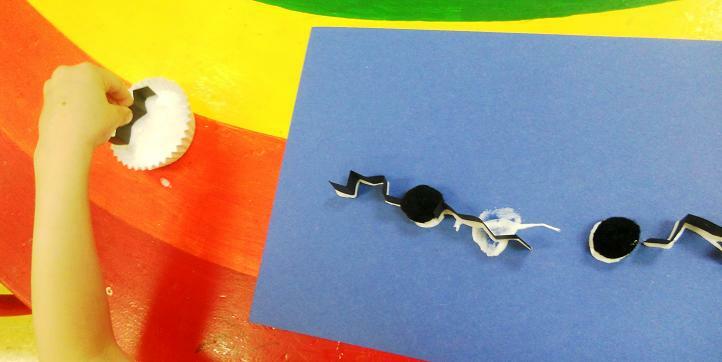 I have been getting some new activities for my Pre-K class here. The first craft I found was really cute--well, aren't they all? This craft was relatively easy, but it packs a big punch. Because of the pom poms and having the wings "stand out," I had poured a dish of tacky. I gave each child a piece of blue paper then the two pom poms. The children dipped the pom poms in the tacky and stuck them to the paper. For the bats wings, the children need two small strips of black paper. The paper then needs to be folded accordion style. If the children are able, allow them to fold the paper. 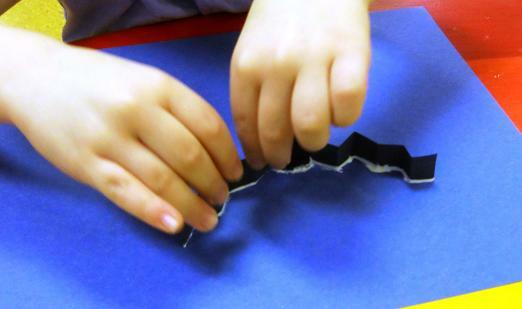 I then had the children dip the "wing in the glue" to cover one whole edge. Glue the wings next to the pom poms. 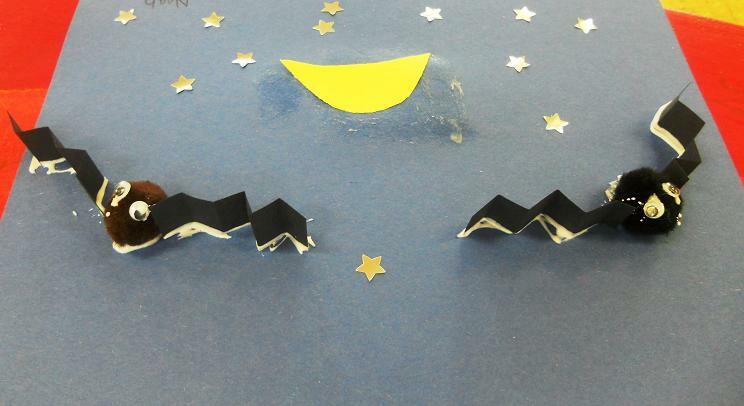 Finally, let the children glue on the eyes, moon, and add the silver stars. It really is a cute craft. Lovely bats!! !Great way of waiting for Halloween! 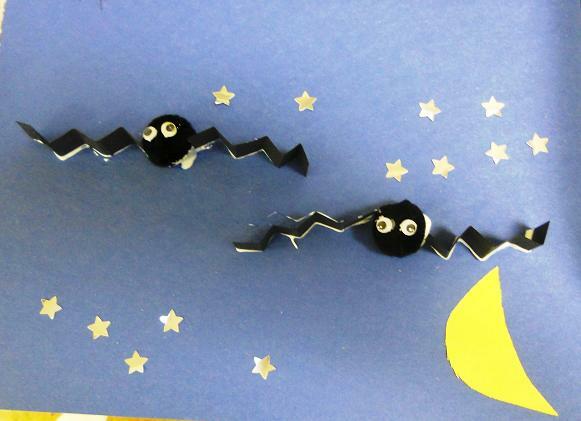 Great 3D bat project for little ones! They turned out very batty!